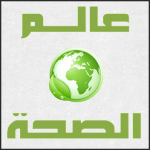 ساعة علم » Blog Archive » تدوينات نويت كتابتها ! ويظل باب التجربة مفتوحا للجميع والقرار النهائي فردي يتخذه كل شخص وحده . كف عن المكابرة واعرف لماذا تشعر أنصوتك مختلف عبر الأجهزة !! I simply needed to appreciate you once again. I’m not certain the things I would have gone through in the absence of those secrets provided by you directly on such theme. This was a very alarming case in my view, nevertheless coming across the very specialized way you processed it forced me to jump with delight. I am happy for your assistance and even sincerely hope you know what an amazing job you’re carrying out training people today via your webblog. More than likely you haven’t encountered all of us.